Well, it means Blood Pressure. It also stands for British Petroleum and reading this American book, I found that BP also means Bipolar which many people know as Manic Depression or Manic Depressive Psychosis (MDP). All these books have been published by LaChance Publishing which contributes 100% of its net proceeds to The Healing Project, LLC which is a non-profit organization dedicated to promoting the health and welfare of people struggling with chronic and life-threatening illnesses. It helps develop resources for enhancing their quality of life and the lives of their families. 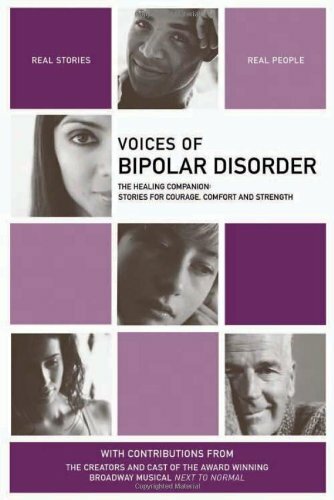 This book about Bipolar Disorder is a very helpful guide for not only the patients but also their friends, family and caregivers as it helps them understand the signs, symptoms, causes, diagnosis and prognosis of this intriguing mental illness of extreme mood swings characterised by euphoric manic episodes followed by extreme bouts of depression. The majority of people with Bipolar Disorder have recurrent episodes but in between episodes, most people don’t experience any symptoms. While some people may have only one or two mood episodes in their lifetime and lead relatively unaffected lives, others may have multiple episodes, often several times a year. Mood Disorders are of 2 types: Unipolar Disorder also known as Depression and Bipolar Disorder in which the person's mood alternates between the 2 states of being abnormally low (depression) and abnormally high (mania). As of today, around 51 million people all over the world suffer from Bipolar Disorder with the top 3 affected countries being China, India and USA. The median age of onset for Bipolar Disorder is 25 years although the illness can start in early childhood or in late adulthood (40s/50s). In rare cases, children as young as five can develop Bipolar Disorder. An equal number of men and women develop Bipolar Disorder and it is found in all ages, races, ethnic groups and social classes. More than 2/3rds of people with Bipolar Disorder have at least one close relative with the illness or with unipolar major depression, indicating that the disease is hereditary and can be inherited through genes. Bipolar Disorder is more likely to affect the children of parents who have the disorder. When one parent has Bipolar Disorder, the risk to each child is l5%-30%. When both parents have Bipolar Disorder, the risk increases to 50%-75%. Bipolar Disorder is one of the leading causes of disability in the world. This neurobiological illness results in 9.2 years reduction in expected life span, and 1 in every 5 patients with Bipolar Disorder dies by suicide due to lack of proper therapy and social support as their pain exceeds the resources for coping with the pain. Not everyone’s symptoms are the same, and there is no simple physiological test to confirm the disorder. Bipolar Disorder can deceptively appear to be unipolar depression or even schizophrenia (another type of mental illness). Hence, diagnosing Bipolar Disorder is often difficult, even for mental health professionals. On an average, people with Bipolar Disorder consult 3-4 doctors and spend more than 8-10 years seeking the right treatment before they receive an accurate diagnosis. Anti-psychotic drugs consisting of mood stabilizers, anti-anxiety pills and antidepressants are usually recommended for treating Bipolar Disorder. If medication is discontinued, the relapse rate could be about 80% within 2 years. With continued drug treatment, only about 40% of recovered patients could suffer relapses. Moreover, proactive lifestyle strategies and self-management skills such as regular aerobic exercises, a regular bedtime, a healthy diet, and paying attention to personal warning signs that a shift to depression or mania is coming can all help a person manage his Bipolar Disorder better. For e.g. if after a certain period of normalcy, a bipolar person on medication suddenly starts losing sleep, he may pay attention to his pattern of sleeplessness and contact his doctor for a change in drug or dosage. Talking therapies designed for Bipolar Disorder or Cognitive Behaviour Therapy (CBT) and/or Family Therapy can help stabilise patients' moods and help them recognise signs that they are becoming unwell so that they can try to prevent new episodes. Electroconvulsive Therapy (ECT) is also offered if all other therapies have failed to produce the desired effect and the patient is still experiencing severe psychotic symptoms. If someone’s behaviour is very extreme and destructive, and if he's considered a danger to himself and to others, he may be admitted to the hospital for treatment against his will, under the Mental Health Act. Coming back to my view about the book, it showcases some very real life stories of people who've grappled with their mind-boggling symptoms for years before being able to reach a correct diagnosis with their doctors, of people trying to make some sense of their debilitating manic episodes and how they've managed to hold on to life despite all odds, making some major life-changing decisions, hoping to see some light at the end of the tunnel and striving to live even if death seemed to be the only option during moments of crisis. Kudos to them and also to their friends, family and caregivers (who with their unwavering love and support) made sure they lived thru it all....and came out of it all....with their heads held high. I bought this interesting, informative and inspiring collection from Amazon. You can also buy it from The Book Depository which gives free worldwide delivery.